The United Nation Industrial Development Organisation (UNIDO) launched its “Agribusiness for Africa’s prosperity” book in commercial capital of Tanzania, Dar es Salaam. According to UNIDO the book analyses the challenges, the potential and opportunities of African agribusiness in the current period of dramatic changes in global agro-industrial markets, and builds a case for agribusiness development as a path to Africa’s prosperity. It analyses the opportunities for diversified growth, and assesses the existing and potential sources of demand growth for agribusiness development in Africa. Seven development pillars are outlined and analysed in detail: Enhancing productivity, Upgrading value chains, Exploiting international, regional and local demand, Strengthening technology and innovation, Promoting effective financing, Stimulating private participation, Improving infrastructure and energy access. According to the analysis whereas 98% of agriculture production in industrialized countries undergoes processing, only 30% is processed in developing countries. The work prizes the United Republic of Tanzania for having made progress in export diversification but indicated that the research and development system is still weak and insufficiently integrated with agriculture and industry and that the human capabilities that are needed for the acceleration of agriculture and agro-industry are inadequate. To this regards the Minister for Industry and Trade Dr. Abdallah Kigoda stressed in a recent exclusive interview with TanzaniaInvest.com that “We cannot continue with the attitude of producing and exporting raw commodities. For that Foreign Direct Investments have to be directed to address some on these problems”. 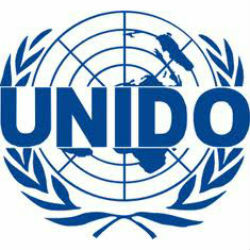 Last month UNIDO also presented in Dar es Saalam its 2012 Tanzania Industrial Competiveness Report.